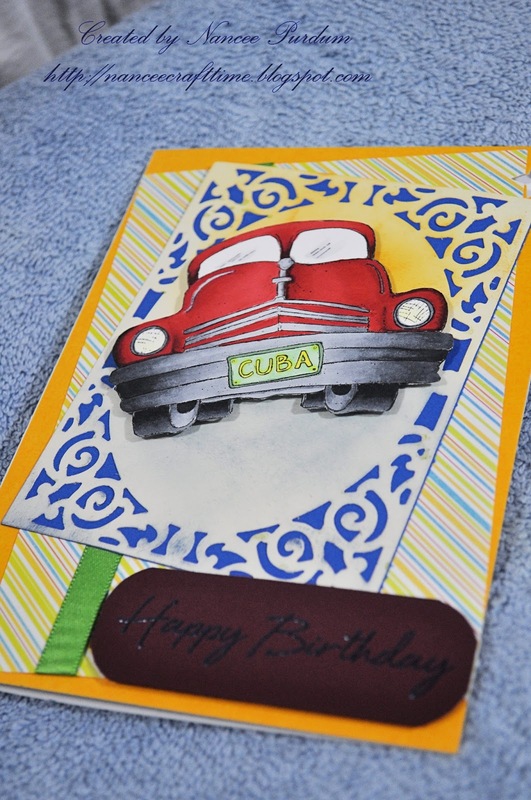 With a week of vacation, I have a little time to make some cards, catch up on my blog, and spend a little time in the pool! Yipee!!! 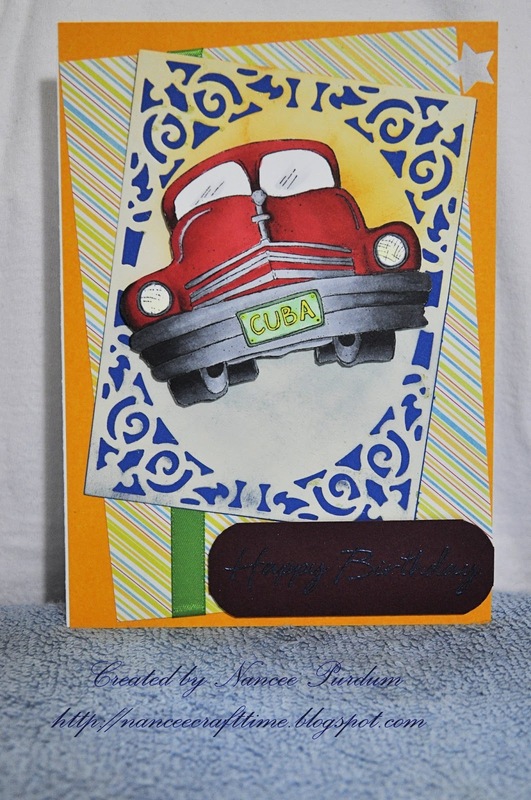 🙂 My first card is Edwin’s Oldsmobile which I used to make a masculine birthday card. A close up of Edwin’s Oldsmobile…….. 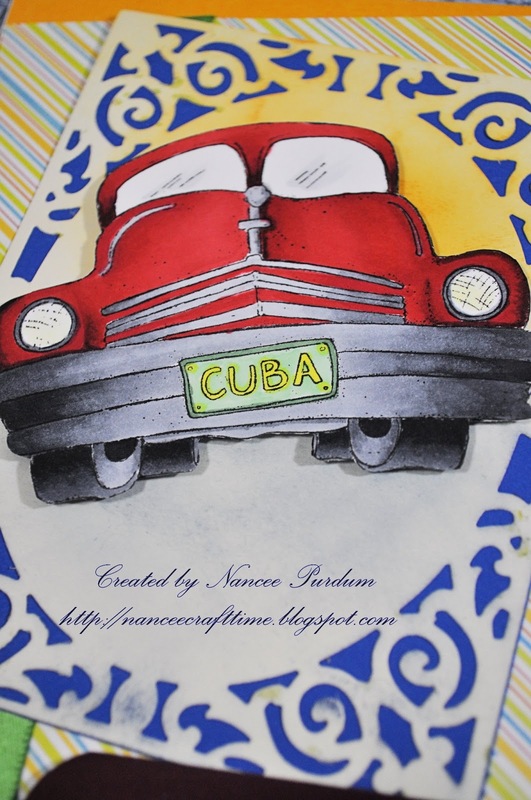 Fantastic card Nancee!!! Love, love your coloring!!!! Darling card, Nancee. Edwin's Olds has never looked better. Plus, red is my favorite color; I've only owned red cars. This is fabulous. 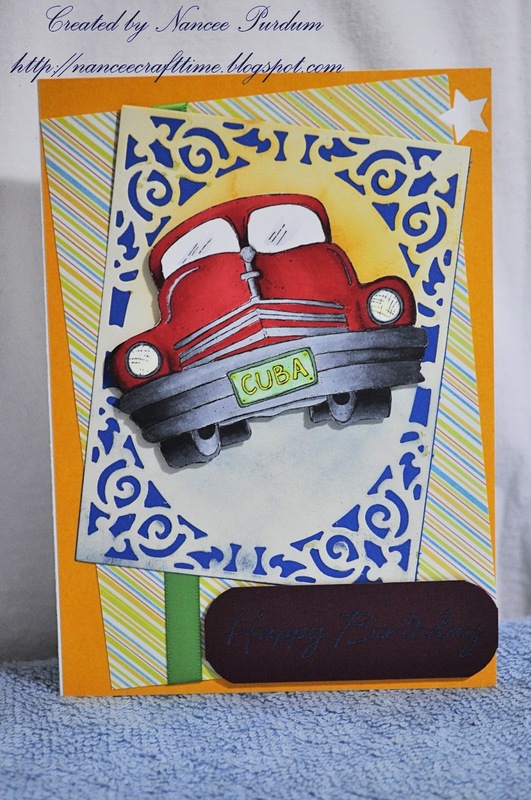 Beautiful colouring and that Spellbinder Die is awesome! This is terrific, Nancee. I never thought to have this car for the main focus, but it's just perfect for a masculine card. Gorgeous diecut–love the scrollwork pattern on it. Fabulous guy card! I love the colors.